South Shields is a large coastal town that lies approximately 12 miles east of Newcastle-Upon-Tyne. It is situated in the North East at the beginning of the River Tyne. With 6 miles of coastline, it’s one of the most popular seaside resorts in Tyne and Wear. 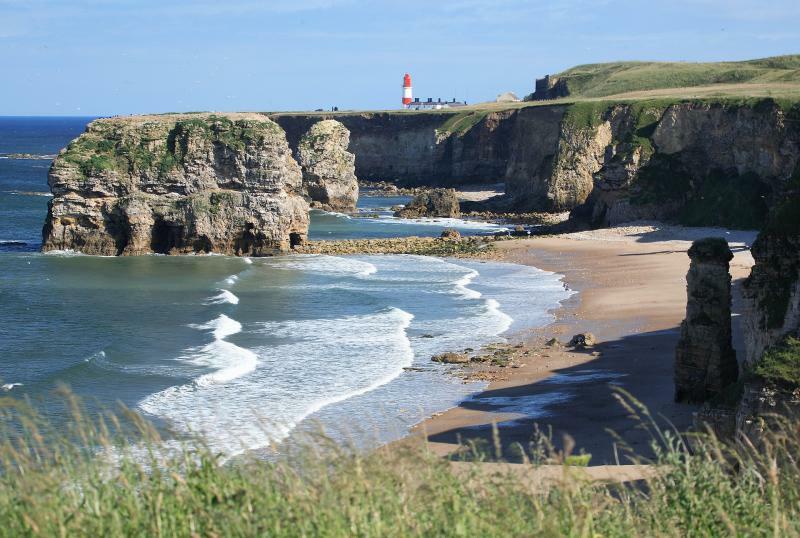 You can enjoy fantastic beaches right on your door step as well as South Shields’ promenade, where there are a number of festivals and events throughout the year. For some indoor fun with your family, try Dunes soft play centre as well as the leisure centre at Haven Point which has waterslides, swimming pool, gym and dance studios. For breath taking coastal views head for Souter Lighthouse and The Leas. For a bit of a history, visit the reconstructed Roman Fort and excavations at Arbeia, which form part of the Hadrian's Wall World Heritage Site. South Shields is connected to Newcastle and other destinations in the region by the Tyne and Wear Metro suburban rail network, making it a popular choice for commuters. Metro trains from South Shields to Newcastle run every 12 minutes and take approximately 20 to 25 minutes. If you are looking to go to London, from Newcastle or Sunderland, direct trains take approximately three and a half hours. By car, the A194 (M) motorway provides a direct link between the Borough and the A1/A1 (M). South Shields is also well connected with Newcastle’s International Airport being approx. 40 minutes’ drive away. There are 21 primary schools and 4 secondary schools in South Shields. See them here. South Shields is also home to South Tyneside College, one of the two leading maritime training centres in the UK. There are 3 universities in the area- Newcastle University, University of Northumbria at Newcastle and University of Sunderland. Jobs in South Shields have shifted in recent years from shipbuilding and mining to service work and light manufacturing. A wide range of current job vacancies can be found here. South Shields is a home to a variety of cuisines such as Turkish, Chinese, Indian as well as British such as Man vs Food Grill House. A number of curry houses and the award-winning Colman’s Fish and Chips are also located along Ocean Road. 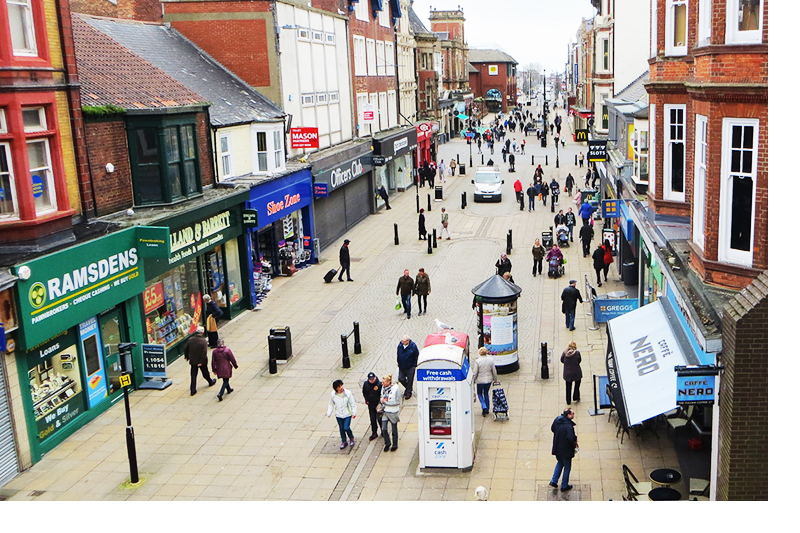 South Shields has a bustling centre with a wide range of high street stores and independent shops. Waterloo Square is a relatively new development with, among others, Debenhams and Next retailers. Alternatively, go to neighbouring Newcastle to shop at the Eldon Square Shopping Centre, one of the largest city centre shopping complexes in the UK. Looking to dance the night away? Then head to South Shields Town Centre for the trendy bars and busy nightclubs. What’s best, they are located within a compact area, so you won't even have to walk far between bars! The seafront also offers a spectrum of trendy bars for a more scenic night out. Local amenities such as Hospitals, Doctors, Chemists and Schools can be viewed for each property on our website. Search for social housing properties available immediately via Homefinder UK in South Shields here.